On Friday WordPress.com introduced a new facility that allows you to change the font on your WordPress.com blog or website for free and very easily — without any coding. As well as selecting from over 30 typefaces — and they are talking about adding more in the future — you can also choose from different font weights and change the size. Increasing the font size can be very useful for anyone with visual impairment and so is a useful accessibility feature too. 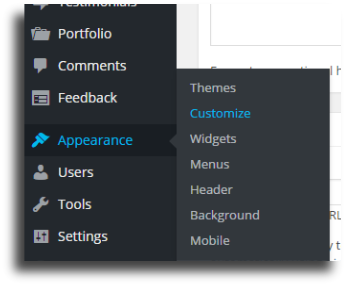 You can select Customize directly from the main WordPress My Sites menu or on the WordPress Admin menu under Appearance/Customize. 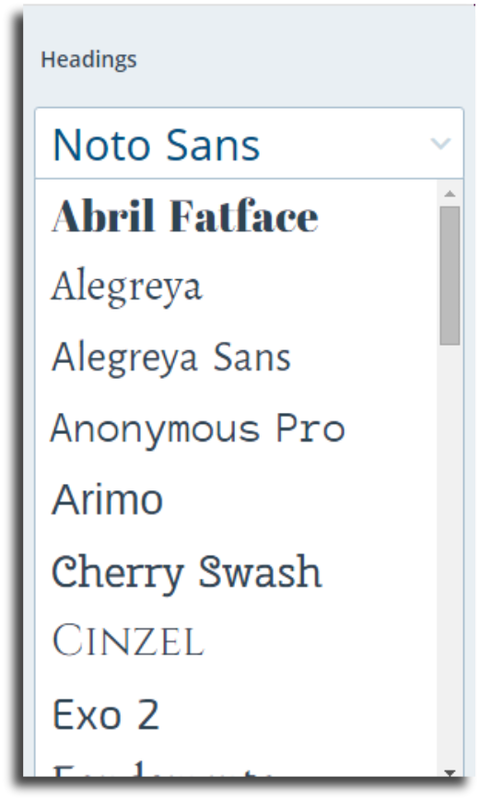 Select fonts from the Customizer menu. 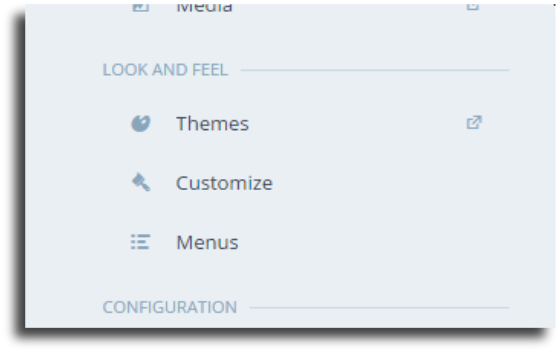 The items on the Customizer menu may vary from this screenshot as some themes have extra customisation options. 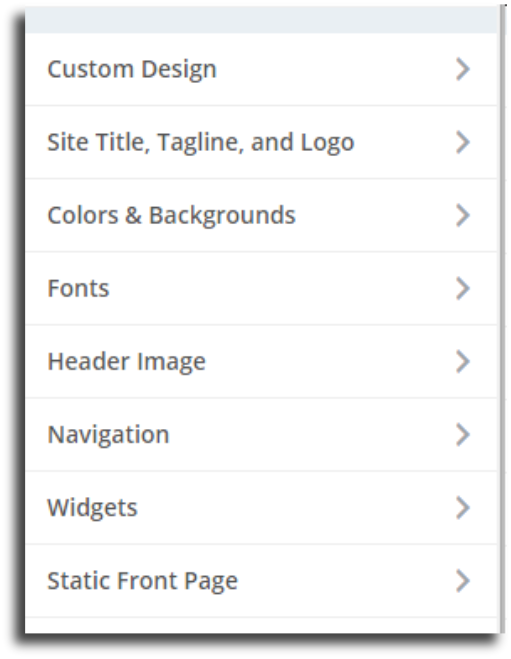 There are two drop down lists, one for Headings and one for your Base font. Both work in the same way, though the fonts available on each list may vary as some fonts work better for headings than for body text and vice versa. Scroll down in your Customizer to see the full list. You can only choose from what’s on this list. You can’t add your own fonts, you’d need to migrate to WordPress.org and have the necessary CSS coding skills to do that. The fonts available will vary for each typeface. Most will have at least one regular and bold option, some typefaces also offer an Italic font. Bear in mind whatever you choose will operate across all levels of Headings or all your Base typeface. You can’t for example, change the weight (or size) for just Heading 1 but not Heading 2 and so on. Italics are not good for accessibility — they are particularly difficult for people with visual impairment and some people with dyslexia, but they can also make reading hard work for everybody else. To have all headings in italics may just work in some typefaces, but to have all your body text in italics will make the text unreadable to most people. Compare how much more difficult it is to read text set in italics: To have all headings in italics may just work in some typefaces, but to have all your body text in italics will make the text unreadable to most people. In modern publishing there are very few times when you use italics — Book titles and Report titles are such exceptions. 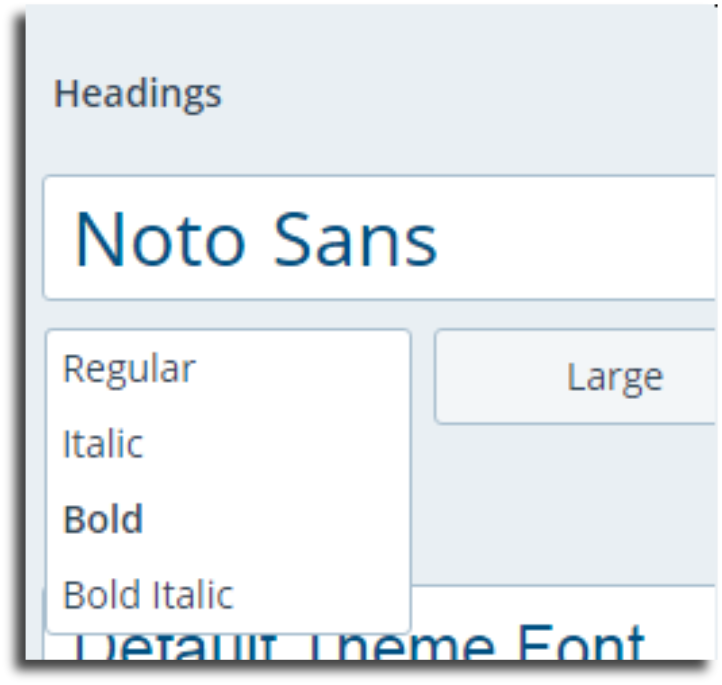 You may wish to put quotations in italics, but WordPress (and HTML) have a specific and better way of showing quotations, which is to use the Blockquote format (it’s on the top line of your WordPress Visual Editor menu: the bold double quotation marks, 6 items in from the left). Blockquote is a better way to format quotations than manually styling them in italics. 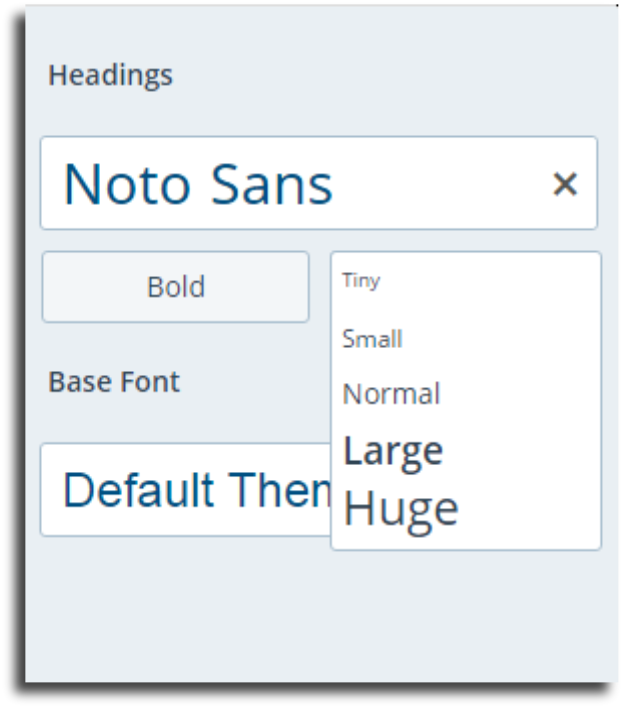 WordPress themes use different stylings for Blockquotes — some use italics, some larger text, some use drop caps or colour. You can also use HTML and inline CSS styling for your blockquotes, but that is getting more advanced. Again beware of using very ornate typefaces such as those that look like handwriting — they may work selectively on some posters but they will generally be unreadable on websites. You have a choice of Tiny, Small, Normal, Large and Huge. Playing around with different typefaces it looks like there may be some restrictions built in — I don’t know if that is teething trouble with the new facility or maybe WordPress being clever and stopping you from doing horrible things like having the Base font larger than the Headings! WordPress is more inclined to do clever things than have teething troubles so I suspect the latter. Again you can’t tailor the size of each Heading. If you make one Heading larger they all resize proportionally. That seems to be a wise move — it would be poor for design, for your readers and for search engine understanding if your smaller headings turned out to be larger than your larger headings! If you do make any changes don’t forget to Save and Publish, or they will be lost, though you can always go back and make the changes again if you do forget to save. You can also change the options later if you change your mind about the look of your site — though it wouldn’t look very professional and might irritate your readers if every time they visit your site you have changed the fonts and sizes.